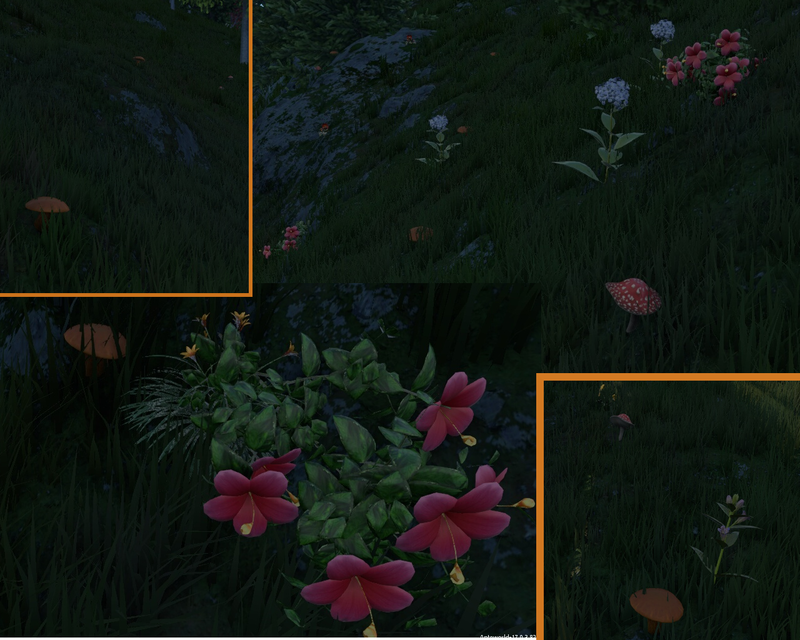 I tried to recreate the same 'virtual' emotion (and very simplified) in the wonderful and wild Anteworld forests. [(M-gameN) -> Flower & Mushroom * NO GAME *] to add to the landscape of Anteworld permanent flowers and mushrooms. Creative and interesting, as usual.